Any global brand, celebrity or public figure can now apply for verified status on Instagram. 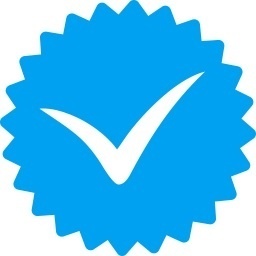 Verification means you’ll receive the verified badge next to your account name. Doing so helps others recognise that you are the genuine article, it helps to build trust and it looks good. The other advantage of getting verified is to protect your brand against imposters. Verification on Instagram is worth it, but how do you apply? The entire application takes just minutes. Simply complete the following steps. Click on the gear icon on the bottom of the screen, this is your settings. Find Request Verification in the settings menu. Complete the form, the information required is: account name, full name and the name you’re known by, and the category of your brand. Upload a photo ID if you’re applying as a public figure or celebrity. Upload business or legal identification for Instagram for Business accounts. Finalise by clicking the send button. This won’t take long to complete but you may have to wait some time before you hear back from Instagram. 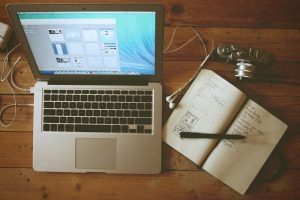 During that time remember to continue working on your Instagram profile, publishing great content and interacting with your audience. Eventually you will receive notice of whether your application has been approved or declined. Don’t be too disappointed if it’s declined as you can apply again in the future. Here are a few tips on how to increase your chances. Have a notable online presence that excludes paid content or promos. Return on Monday when we’ll be sharing tips on how to create a profile that is more likely to achieve verification status on Instagram. Social Media Explained – By Accountants!